THIS WEEK IS INTERNATIONAL ANTI- BULLYING WEEK AND TO COINCIDE RIMMEL HAS JUST LAUNCHED A GLOBAL CAMPAIGN TO STAND UP AGAINST CYBER BULLYING. Australia has one of the highest rates of cyber beauty bulling globally with 1 in 3 young woman have been cyber beauty bullied in Australia. Starring Rita Ora and Cara Delevingne, the campaign showcases real stories and shows that beauty bullying happens in all walks of life; beauty influencers, models, celebrities and social media users have all experienced beauty bullying. “Rimmel has a clear purpose to inspire people to experiment & express themselves with make up to be their authentic self. 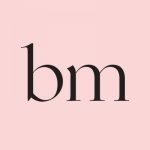 As a brand, we are against narrow definitions of beauty, people being shamed, judged and criticised because of their looks and this behaviour manifests itself widely today in the form of beauty cyberbullying”. says Sara Wolverson, Vice President of Rimmel Global Marketing at Coty. In 2017, 11,000 women between the age of 16 and 25 were interviewed on behalf of Rimmel about their experiences of online bullying. The survey reveals the true scale of the problem and reports on the detrimental impact it has on the mental and emotional health of young people. • 11% of those bullied have experienced it once a month or more. The campaign has three major objectives. The first is to spark a global conversation surrounding beauty cyberbullying by teaming with a cast of influencers and individuals from around the world who have all had first-hand experience of the issue. “I really wanted to be involved with the campaign because it is really in line with what I stand for on social media. I really hope that in sharing my story, I can help to humanize the things we see online and really raises awareness of the issue at large” says Ascia Al Faraj, Beauty Influencer from Kuwaiti. Global icons Cara Delevingne and Rita Ora were amongst those speaking out about their experience of cyberbullying. The pair personally related to the campaign, that champions an individual’s right to self-expression and hoped that their high-profile status could reach and inspire all those affected. “We really just want to shine a light on the fact that cyberbullying is not okay. I think it’s amazing that I have the opportunity to shoot with people who have such unique personalities and sense of individuality. This is something that has always been a big part of my career thus far,” – Rita Ora, Rimmel Brand Ambassador. “The message that I have for young people who are being affected is that you are enough! It doesn’t matter what anyone else says and you are not alone. We have to stand by each other and think twice before we comment. The problem with cyber beauty bullying is that people can write something and never have to deal with the consequences. The comments I have read are heart-breaking and its terrifying to see what words can do to someone,” – Cara Delevingne, Rimmel Brand Ambassador. Cyberbullying curbs self-expression and creativity, playing straight into the hands of the bullies. Rimmel recognises its global reach and aims to use this to get people talking about the issue that is affecting so many people worldwide. “The research proves almost 2 thirds of those who have experienced beauty cyberbullying, do not talk about it. We saw this as an opportunity to use our platform to support the cause and bring together a group of people who have a credible, authentic story to tell” says Sara Wolverson, Vice President of Global Marketing at Rimmel. Lastly, but crucially, Rimmel will be partnering with international non-profit organisation, The Cybersmile Foundation, a multi-award winning anti-cyberbullying charity committed to tackling all forms of digital abuse. With Rimmel’s support over the next three years, Cybersmile will launch “Cybersmile Assistant” a state of the art AI driven tool that will recommend appropriate resources, helplines, organisations and articles localised to the user and best suited for their particular problem. The nature of AI machine learning means that Cybersmile Assistant will become more intuitive and more effective as it grows over time. This ground breaking tool will be launching in all English-speaking countries in 2019. 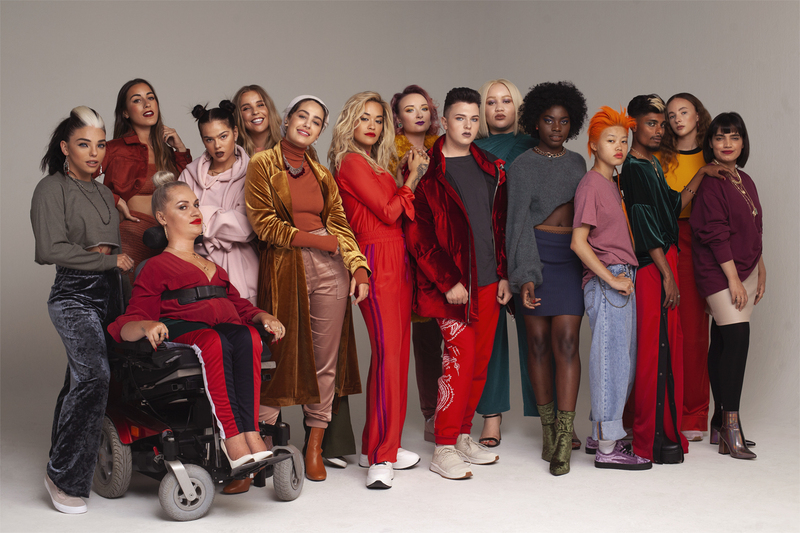 “We are excited to be partnering with Rimmel, working together for a more inclusive Internet where people can recognise and celebrate their own beauty and individuality without fear of ridicule, bullying and abuse. Rimmel’s brand purpose is perfectly aligned with the Cybersmile mission.” Scott Freeman, CEO, The Cybersmile Foundation.